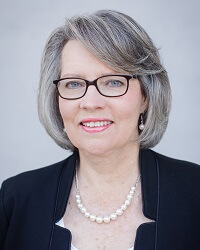 What makes Dianne Glasscoe Watterson unique among speakers and consultants is her depth of knowledge and her passion to help dental professionals excel. Her long career in dentistry - both clinical and professional - spans more than three decades. In addition to being an RDH, Dianne also has a Bachelor of Science degree in Human Service Management and Masters of Business Administration. Her business, Watterson Speaking/Consulting LLC is based in Lexington, North Carolina. Dianne has had more than three hundred articles published in Dental Economics, Dental Practice Report, Dentistry Today, Dental Graduate, Dental Equipment and Materials, Insurance Solutions, Woman Dentist Journal, and RDH, as well as several chapters for a national dental hygiene periodontal textbook entitled Foundations of Periodontics for the Dental Hygienist. She is well-known for her monthly column in RDH, entitled "Staff Rx," which addresses practice management problems faced by hygienists across the country. In addition, she authors a bimonthly column called "Practice Wisdom" for Dental Economics magazine that is devoted to practice management. Dianne is the author of Manage Your Practice Well, a comprehensive practice management text for dentists and office administrators and The Consummate Dental Hygienist, which is devoted to solving workplace issues for dental hygienists. In 2005, Dianne was honored as a "Distinguished Dental Professional" by Dentsply. She has been named by Dentistry Today magazine as one of the "Top Clinicians in CE and Consulting" every year since 2006. In 2009 and 2010, Dianne was chosen to serve on the Colgate Oral Health Advisory Board as a "Key Opinion Leader." Dianne has consulted in dental offices across the United States and has successfully implemented programs that raise levels of productivity, efficiency, and profitability. Her consulting is business-oriented and dedicated to practice improvement. She offers a one-year full consultation, focused hygiene department consultation, or a one-day needs assessment program. All programs are tailored to the needs of the practice. Dianne is a former adjunct faculty member at Guilford Technical Community College in the dental hygiene department. She formerly served on the Board of Directors for The Speaking/Consulting Network and is a member of ADHA, American Academy of Dental Hygiene, American Association of Dental Office Managers (AADOM),and The Christian Medical/Dental Association (CMDA). She also serves on the editorial board for RDH magazine.